HP 620. It’s a great notebook for business. Hp620 is not the best about performance but it’s fast – really fast! with linux – and it’s ok with it’s easy and clean design. Its hardware is very good (almost everything is manufactured by Intel) and it’s cheap! Above all, you can also buy it pre-installed with Linux (Suse Enterprise Desktop)! After installation run these commands from shell (as root). You can virtualize an existing windows/linux installation with qemu / kvm. This isn’t a real news but here I write a very basic/fast tutorial. Please note that when you virtualize a disk inside kvm, as we do in this tutorial, its OS find a new hardware configuration (fake/virtualized by kvm). This maybe a problem just because some operating systems (especially windows) doesn’t like that situation and panics with blue screen at boot & co©. To avoid this kind of problems make sure to uninstall specific drivers from your source disk OS before generate your image (especially windows!). Especially for windows (!!!) ensure to uninstall the IDE/SATA controller driver and replace it with general/universal driver. I have no problems like that to report for Linux os. For the first choice the answer is simple: just use kvm’s -hda (or -drive) argument and point to your disk. Kvm and qemu can use a real hd without problems. create a new folder to mount the image destination folder, it can’t be on our machine disk… we have to create our new kvm/qemu image from it! mount a remote samba partition with cifs in your destination folder (mount -t cifs //192.168.1.x/your-samba-share-name) or mount an usb drive, or a nfs partition, or your smartphone, that doesn’t matter! 🙂 You only need to transfer your windows/linux disk image to your qemu / kvm host. create your disk raw image with dd from winows/linux disk; note that you have to copy ALL disk, not only a single partition. For example, if you have 3 partitions (/boot hda1 / hda2 and swap hda3) you have to use dd on your disk device, not on partitions. Wrong: dd if=/dev/hda1. Correct: dd if=/dev/hda. Please note that with dd you can kill your cat, burn your sister and immediately join Forza Italia. Use it with care! TIP: Note that this process can be slow if your source disk is very large and may waste disk space on your destination host, especially if your source disk is large but only a small part of it’s used. In that case you can use the qemu-img tool to convert the physical disk to a kvm/qemu image: this tool allows you to use the -S/sparse option to convert (http://en.wikipedia.org/wiki/Sparse_file). The image of your source disk converted with the sparse option will be as big as the source used space. Of course before convert with the sparse option you need a way to set to zero all the unused bytes in your source disk: for ext2, ext3 and ext4 partitions you can use the zerofree tool (https://packages.debian.org/wheezy/zerofree) or you can try another way (an easy way that works with all filesystems may be create a zero filled file on your source disk that fills its free space). Another way may be use a tool like parted to reduce partitions size and then copy only used disk space with a combo of dd’s ibs and count (untested). debian, grub-pc and /usr/sbin/grub-probe: error: unknown filesystem. Please specify the module with the option `–modules’ explicitly. This error seems to wake-up with large ids >100.000.000 (like Ruby On Rails fixtures sys does). Ok, like Piotr Jasiulewicz says this error appears because the sphinx was built without the –enable-id64 option. Let’s go to solve this problem in Debian (note: I assume you use mysql, if not you have to change some dependencies packages). Update 2012-05-31: this post refers to Debian Lenny i386. I don’t know if the binary package of Debian Squeeze (other distros, versions, architectures) is compiled with the same compile options at the moment. Anyway this post is intended to solve the specific warning (or to suggest a solution just in case you use another distro/architecture) . Move to your preferred source folder (for example ~/src) or create it. Move to root user with su. Give permissions to your user on sphinxsearch files. Exit from root and return to your user. Enter in source folder of sphinxsearch (may vary with versions), configure with proper flags and make. Please note that pgsql is disabled by default and you should take a look at configure options (./configure –help) to see if you need others options, I don’t (except for libstemmer but I ignore this here). Ok. If all was ok at make/compile time you can move on installation. Move to root user with su (uninstall debian sphinx package if needed) and install. 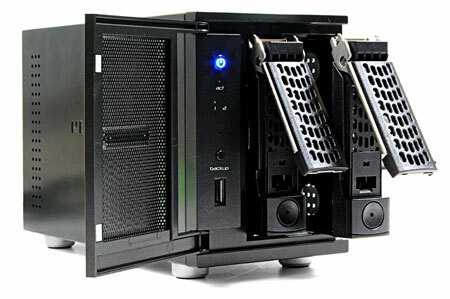 Today I spend some time to mount one folder on Readynas Duo with NFS. All goes right from server (Debian Lenny) but i can’t mount NFS partitions from my pc (Debian Sid). Error was “mount.nfs: Operation not permitted “. Fstab is ok but problem persists. Wow, ok, there is a difference. My pc try to mount nfs with version 4, my server doesn’t use v4, but it uses v3! share usually in the form of servername:/path/to/share. dir is the directory on which the file system is to be mounted. It seems to be false. On my pc I use mount.nfs and always mount tries with nfs4. Ok, let’s go to solution..
You can force the NFS version to use with nfsvers=3. Now mount uses the right version and all goes well.